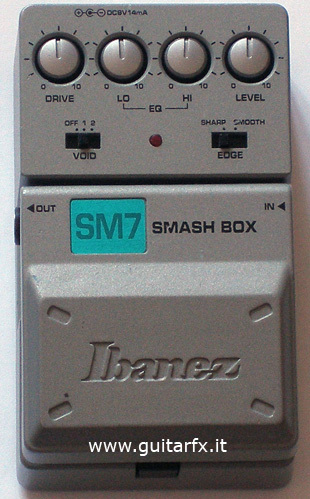 In addition to the usual “gain” and “level” knobs, there are 2 more controls: a “warp” knob and a “sub” button. 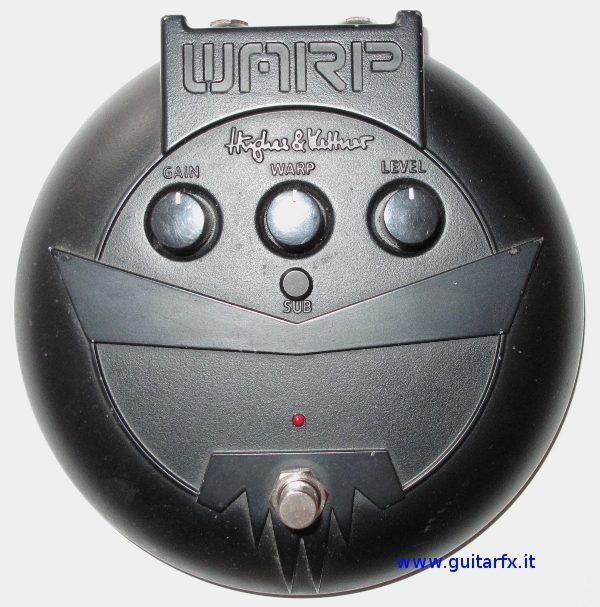 The “warp” knob is actually a tone control, which doesn’t work in the usual way: to the left it boosts mids from 250 Hz to 1 kHz. When set to the right, it cuts mids at 500 kHz with a subtle boost at 3 kHz. The “sub” button is a low-end boost at 90 Hz (!) 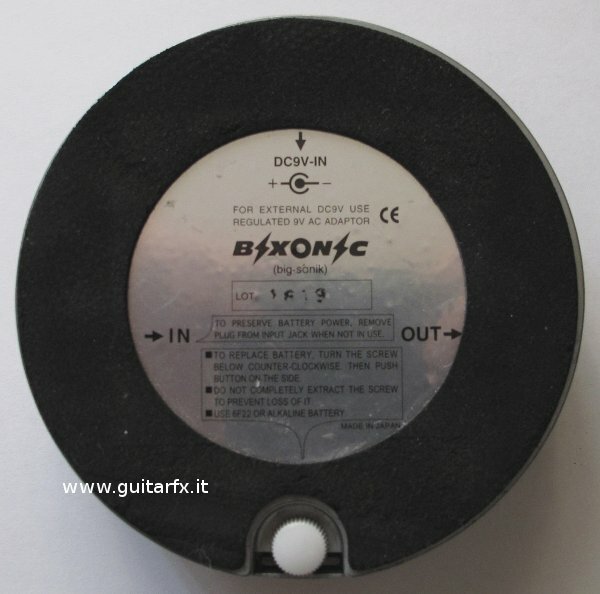 and is recommended for use with a 4×12 cabinet as you can see on the manual and on the reverse of the box. 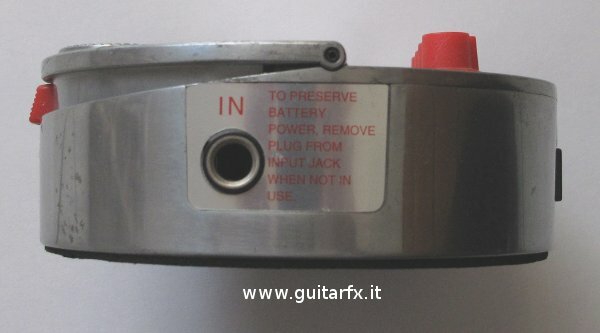 By the way, as you can see in the photos, the input and output jack are reversed: I mean that the input jack is positioned on the left side while the output jack is on the right side…pretty weird choice imho, since the standard is exactly the opposite. 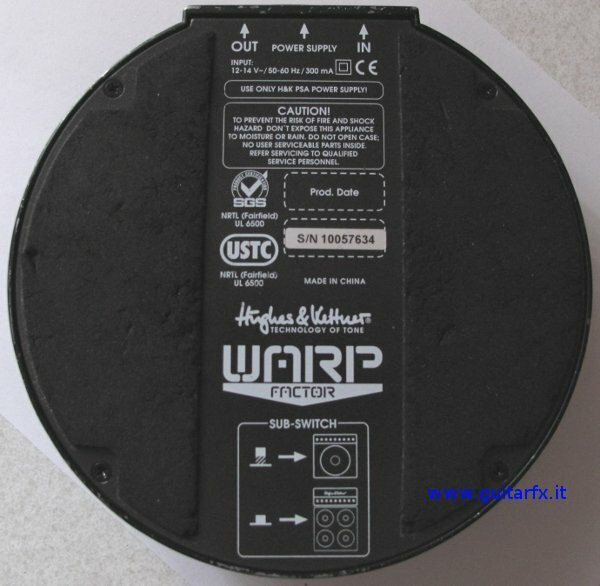 This pedal needs a whopping 180 mA of 12 V current: forget about using batteries, however a 700 mA power supply is included. 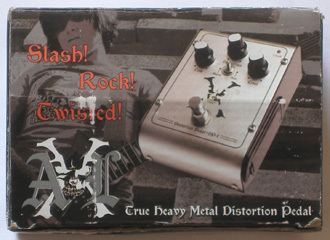 This effect was included in H&K catalog for year 2006, but is now discontinued: my personal opinion is that the sound isn’t bad, but probably its quirks were enough to condemn it to a fast “phase-out”. At the moment they can be found second-hand at reasonable price. 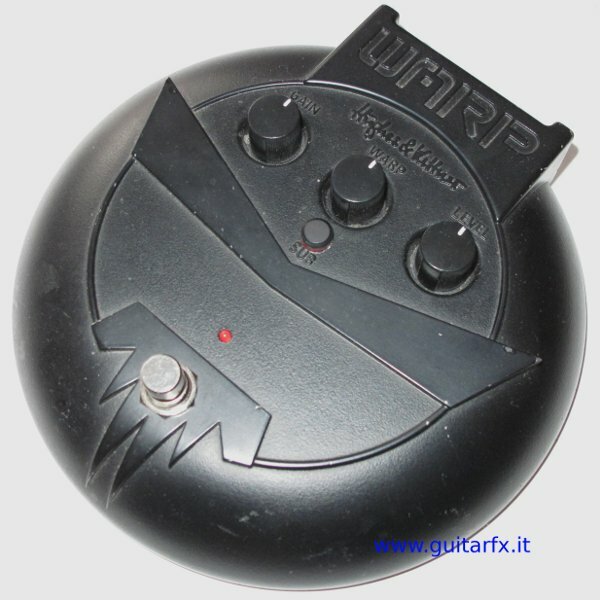 This can be considered a modern classic: it has been on sale since 1978, and while the circuitry has changed in time, the sound has more or less remained the same. 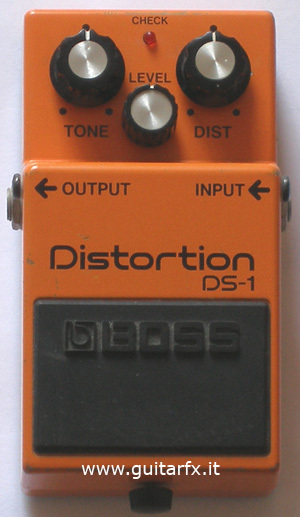 The stock DS-1 isn’t my personal favourite, I find the sound too thin and metallic for my taste, but the interaction with the amp is very important for this pedal (or any overdrive, anyway) so it would be best to try one with your setup to see if you like the sound. 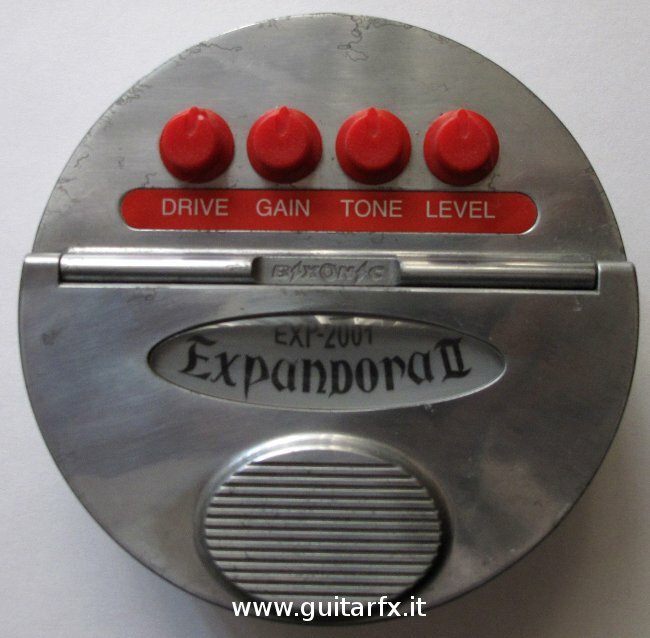 Some great artists have supposedly used this pedal or modified versions: Steve Vai, Joe Satriani, John Frusciante and John Petrucci. 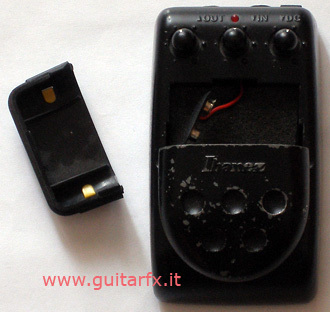 The pedal has a very reasonable price and can be easily found, new or used. 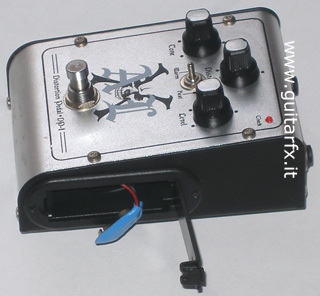 The circuitry lends itself to very interesting mods, and several schematics, kits or already modified pedals for people not used to soldering are available around the web. The effect box is all-metal (erm…) apart from the plastic battery container on the right side, which you can see on the next photo. 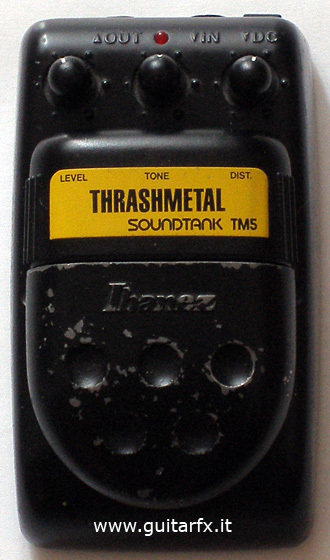 However I’m not sure this pedal would survive the treatment some of my other pedals had. The anti-skid rubber under the box is a nice touch. 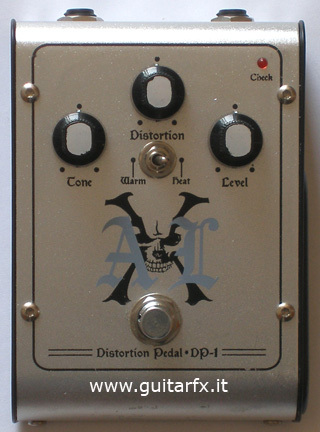 I don’t think this unit is still in production, since on the official site www.axlguitars.com there’s only an analog multieffect board available, no stompboxes.